There are currently 34 users and 1602 guests online. decided I am going to use the time for a bit of exploring, both locations and techniques. 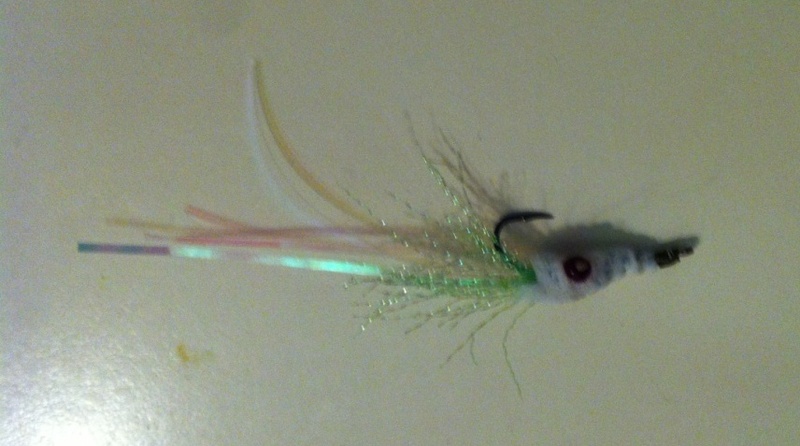 decided to try my hand a fly tying with beads and kids craftware. 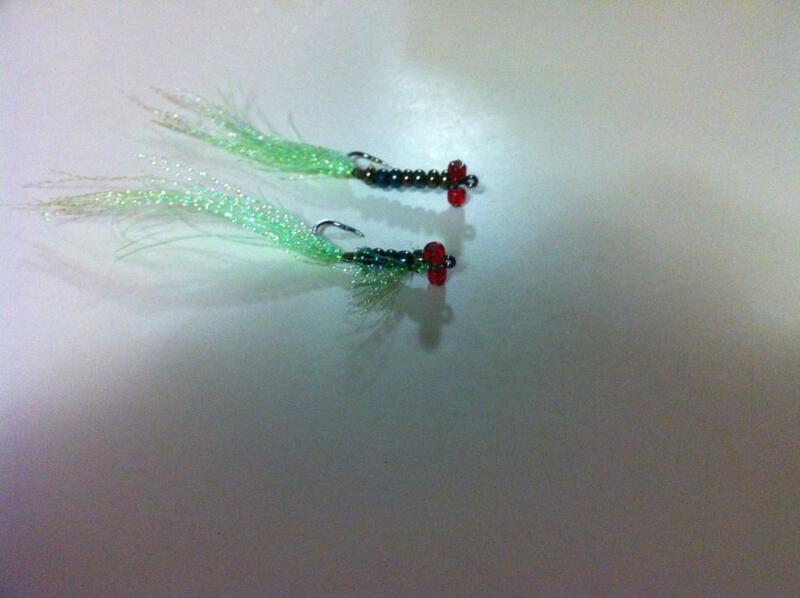 I recon these flys can be flicked with a fly rod as well as cast, with a tiny ball sinker. should be good for herring (and maybe skippy) in a berly trail. so testing time nex weekend. and with the lights off. Look nice - are the beads on the shank of the hook threaded on or tied alongside the shank?? not that the fish will care. I've also been tying a Crazy Charlie type or small whitebait fly above my hooks on a paternoster rig when fishing for whiting etc. and have caught two KG's to date on the fly. I tie copy "snapper snatchers"
And having a look at your efforts might give that a go over the next few weeks and will report on success (or otherwise) - really got me thinking now! Also have a 'flasher' rigged on a small circle hook which I use as my second rod when fishing alone and just leave it in the holder. I put a small piece of squid on the hook as well and you'd be surprised how many times I turn around to see the rod bent over. Figure if the bait gets stolen I'm still in with a chance. then threaded the beads on the shank with a couple of wraps between then. Quick, easy and the beads are dirt cheap. would love to see a pic of the white bait fly. got a a couple of ideas on that one too. would post a photo but its in the boat (150km away). Basically a body made of white thread built up a bit, a holographic eye on each side with some epoxy over this and a puff of white fluff out of the tail - pretty simple. Found these tying instructions for the "eye fly"
Goona try a bead derivative of that with a stainless steel hook and see how I go. Great thread guy's , i realy like that little fly Paul , And i'm sure those jigs will work fine psion, nice job . Thanx Mate, That link was ace. 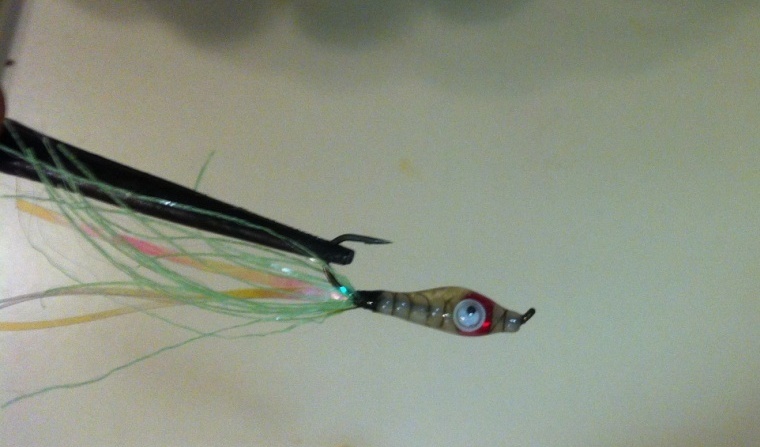 Tried the eye fly with beads and epoxy combo, and a squid one. 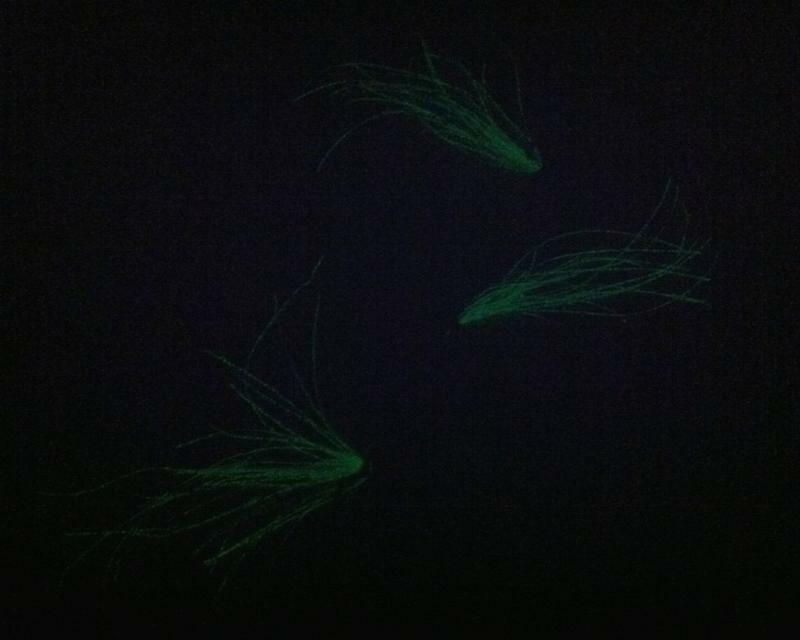 use lumo green for the tale, now it glows in the dark. Loaded the photos at the top (cause i'm to stupid to add them in here). No problems, they look great, And thank you too, you've given me the inspiration to get the tying vice out again and I'm going to make sure I always throw one on when rigging up. Your squid looks similar to one I tied except I just used thin bits of rubber bands as the tentacles. They will work for sure.